You are also invited to submit papers to the special session tribute to Ivo Rosenberg. Authors should submit papers as PDF files following the IEEE style guidelines for conference proceedings. Each manuscript shall include a 50-100 word abstract and shall not exceed 6 pages. All accepted papers will be published by IEEE. The authors of selected papers will be invited after the symposium to prepare an extended version of their papers to be published in some journals. 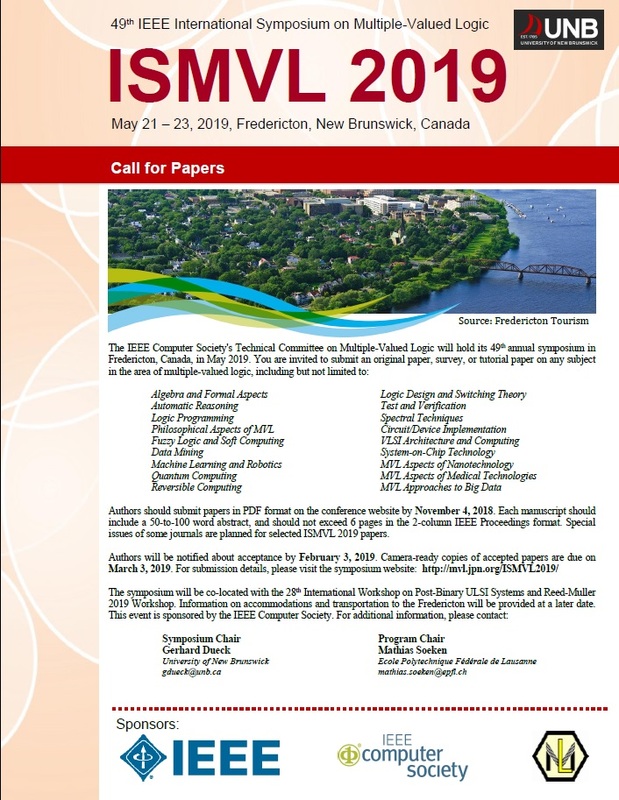 The proceedings of ISMVLs are in the Ei compendex that is the broadest and most complete engineering literature database available in the world. In conjunction with the symposium, the following workshops will be held.